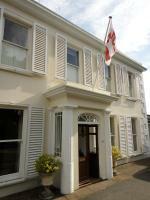 The Captain Cook Hotel is one of Guernsey's oldest privately owned and family-run hotels and conveniently situated just 5 minutes walk from St Peter Port town centre, beaches and the yacht marina. All of the 28 comfortable bedrooms at Captain Cook Hotel in Guernsey are en-suite and fully equipped with colour TV, radio, telephone and coffee and tea making facilities. Sunnydene Country Hotel in Guernsey is located within extensive grounds in the parish of St Martins in an area of outstanding charm and beauty. The 3 star hotel has a friendly atmosphere and is well located for exploring the Island. The 20 en-suite bedrooms are all tastefully decorated and furnished, and en-suite. La Fregate Hotel, Guernsey's latest four star hotel, combines the charm and character of an 18th century manor house with the amenities of a modern business and leisure hotel. Whatever your reasons for visiting Guernsey, a weekend break, short stay, business meeting, we offer the highest 2 rossette standards of cuisine and four star hotel service on the island of Guernsey. Fermain Valley Hotel is a 4 star hotel set in landscaped gardens with views over Fermain Valley and towards the sea, Fermain Bay and islands of Sark and Herm. 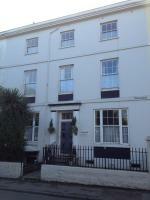 5 mins drive to St Peter Port. There are 2 restaurants, the Valley Restaurant awarded 2 AA Rosettes plus a Gold Award by Visit Guernsey and The Rock Garden (sophisticated bar & restaurant serving tapas type dishes). Quiet & cosy lounges. Private cinema showing the latest films. La Roche is a 4 star, silver award winning guest house in an elegant Georgian house set within secluded gardens just a 10 minute drive from St. Peter Port. Distant seaviews. Guests may enjoy use of drawing room with grand piano, basement cinema, gardens, terraces, conservatory, outdoor heated spa pool with water jets. Free on site parking. 3 minutes walk from bus stops. Concierge service. Home cooked meals served outside or inside.